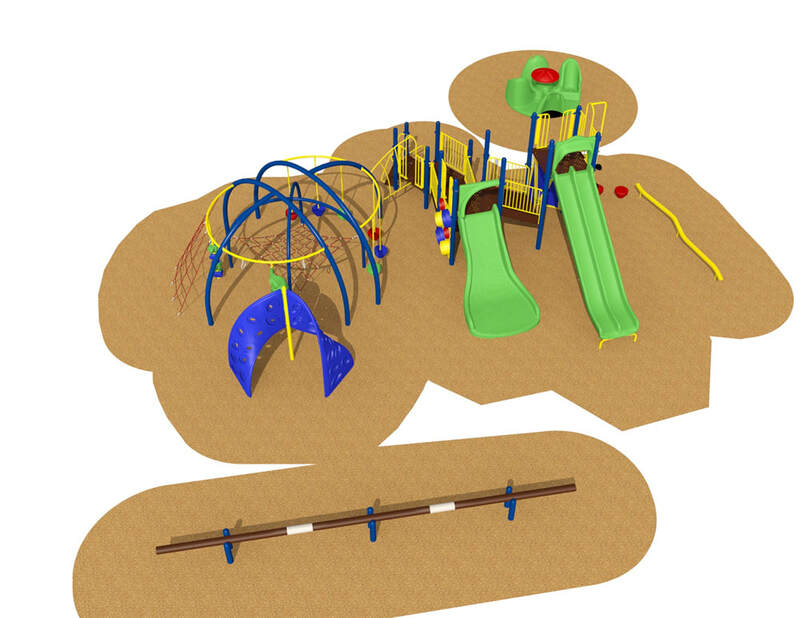 ​Shepardson Staff and the Shepardson PTO are spearheading an effort to build out a new, inclusive 4/5 Playground. This playground represents more than a set of climbing walls, agility pods and spinners. The playground will meet a critical need for improved access to cooperative physical activity and improved social-emotional well-being for our students. In addition, the playground will serve as a destination for all neighborhood families who are looking to play, exercise and spend time outdoors together. Click here for a more detailed look at why we are pursuing this project and how it will benefit the school and community as a whole! Click on images above to zoom in. Donations of any amount are accepted via cash, check or online! The PTO is a nonprofit 501(c)(3) charity so all donations are tax deductible! 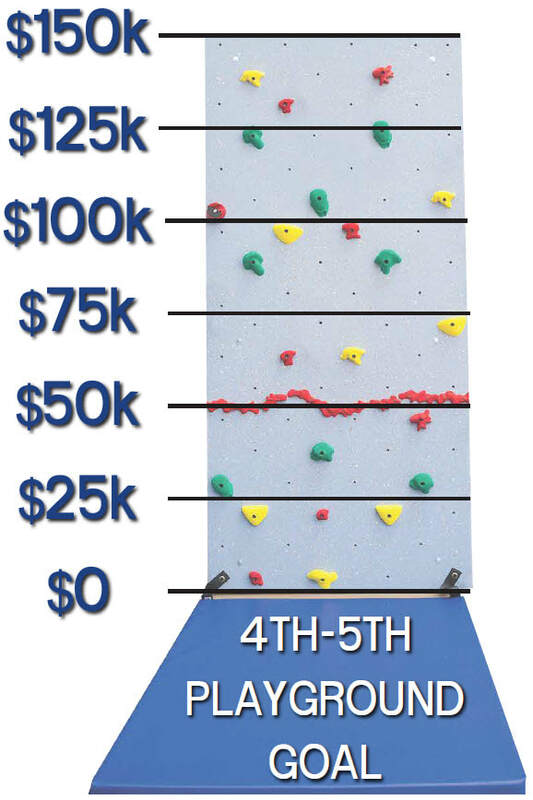 To expand the playground via cash or check (make out to Shepardson PTO) please turn them into the school’s Front Office. To make a credit card donation or via PayPal Giving Fund, please use the buttons below. Ask your business for a donation match to make your donation go twice as far! WHY THIS PROJECT & WHY NOW? ​Shepardson has a problem – the playground our older students have access to has only a few swings and a set of monkey bars, making it too small to meet the needs of the 130+ students who use that as their only playground while at school. Additionally, Shepardson hosts a center-based Autism Program but the existing playground has no inclusive play components. As a result, student wellness – both physical and social-emotional - is being negatively impacted. 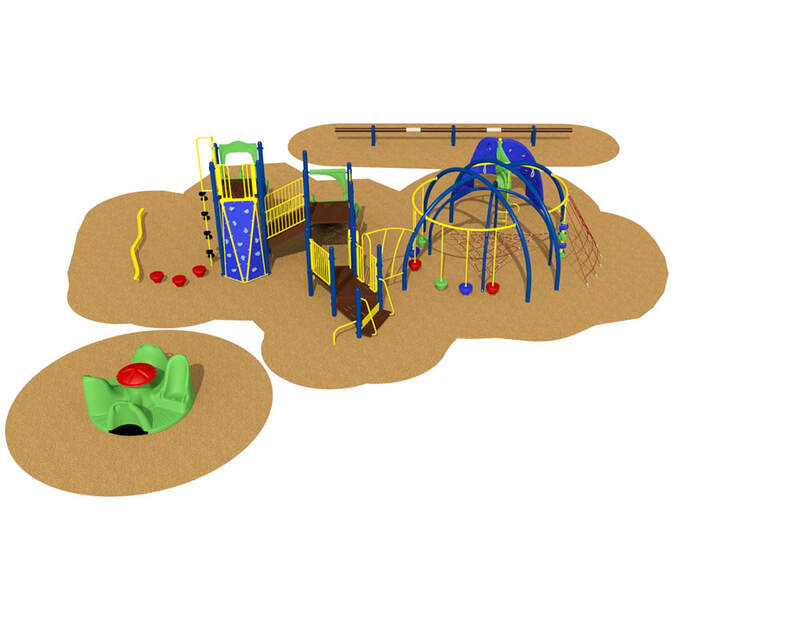 To meet this need, Shepardson staff and the Shepardson PTO have proposed building a playground addition that provides additional play structures, which include inclusive components. 4th and 5th grade students were surveyed to determine the types of structures they would enjoy and other schools were visited to see what play components were used most frequently by older students. We also consulted with playground supply representatives and special education staff to determine good choices for inclusive play components. 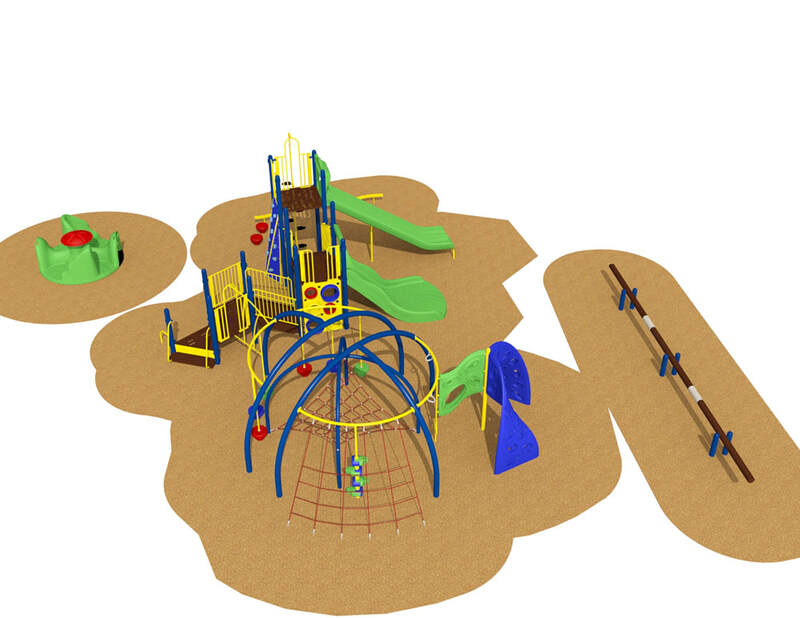 If built as envisioned, we will add approximately 4000 square feet to the existing playground and provide more than 10 additional play components for students to access. ​The student outcomes are for improved access to cooperative physical activity and improved social-emotional well-being. Currently 1/3 to 1/2 of our older student population does not engage in significant movement and play during recess times and our students with autism who have moderate to severe needs typically choose a primary playground (away from peers) or do not use the playground. Students have stated that one reason for this is the lack of an engaging playground and playground “crowding” due to having only a few play components. Research tells us that playgrounds have significant health benefits, ranging from increased cardiovascular endurance and enhanced strength and coordination to increased cognitive development (due to sensory stimulation) and reduced negative behavioral issues – particularly among students with attention/focus issues. Our goal is for >90% of students to be engaged in active play each day and for 100% of our students with special needs to be engaged in active play with age-level peers each day. Research by Jill Locke at the University of Washington supports the idea the playground can be an excellent environment that “supports various interests and activities designed to improve motor, play and social skills” as part of a highly inclusive environment, particularly in schools like Shepardson where inclusion and empathy are cultivated as part of the school culture. This ties directly to the 21st century skills of communication, social and emotional skills, and global and cultural awareness. We also see a higher quality play space as being something students will access both during school hours and outside of them – allowing them to develop connections with other young people and the community. ​The groups most directly impacted by this proposal are our fourth and fifth grade students. This group, which includes approximately 12 to 15 students with special needs in a group of 130+ students, will utilize the proposed play space three to four times each day. This impact is long lasting and far reaching though, also helping to meet the needs of younger or older students who may use the playground during non-school hours. Students should be able to benefit from the proposed space for the next 20 years or more – meaning that conservatively, at least 1500 young people will be impacted over the life of the implementation. Playgrounds and student activity have been associated with academic growth and achievement for a long time. Shepardson has also had a long history of developing and promoting inclusive classroom environments. However, using facilitated play on engaging playground components to increase connectivity between at-need groups (such as students with autism or students who are English language learners) and peer groups is an innovative step that will enrich the culture of our school and deepen student peer and community connections. In order to maximize progress towards the desired outcomes we will tap into our school counseling program to deepen classroom instruction around cooperative play and inclusion. We will also work with the paraprofessionals who support recess with children on how to coach and facilitate inclusive play. The Shepardson neighborhood, nestled between Drake and Horsetooth/Lemay and Timberline, has no park facilities, so many community members utilize school grounds throughout the year as a gathering place to play sports, exercise, and enjoy the green space that exists because of the school. Children of all ages use the school as a playground when school is not in session, including many kids who do not attend Shepardson.